A few weeks ago, I was at Target, my husband was watching the kids, and I had time to really LOOK. I went down the feminine care aisle, because it's not an aisle I am usually able to browse with the kids asking me what each product is. I noticed a new line from Summer's Eve. Summer's Eve has been around for so long, I remember my Grandma talking about it when I was a kid! So I know that I can trust their products. 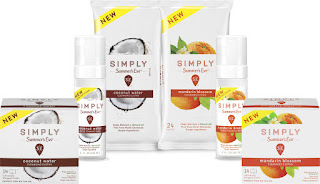 The Simply Summer's Eve™ collection features a new premium product form, botanically-based fragrances, and new formulas which are free-from harsh chemicals, parabens, and dyes, all while helping stop odor before it starts. Included in the line-up are a Gentle Foaming Wash – an innovative new form that instantly lathers to an ultra-soft, luxurious foam – and Cleansing Cloths for at-home or on-the-go use. Both products help maintain a natural pH and are available in two new nature-inspired scents – Coconut Water and Mandarin Blossom. 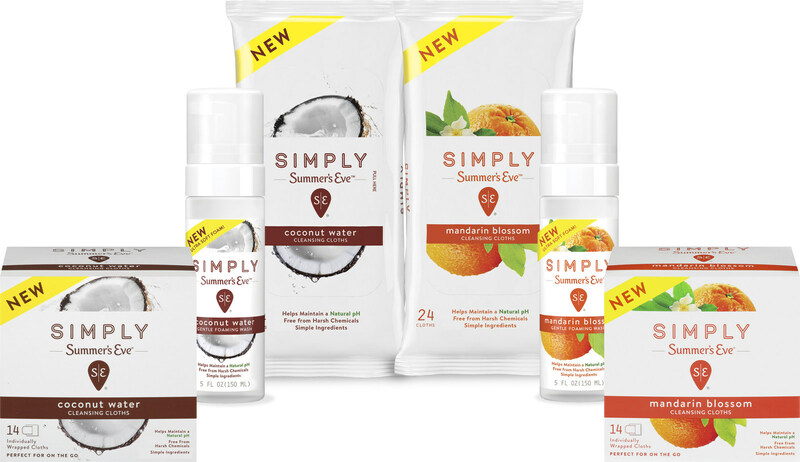 Simply Summer's Eve™ will be available at leading mass, drug, and food retailers across the U.S. this spring. The Simply Summer's Eve™ Gentle Foaming Wash has a $4.99 suggested retail price and Simply Summer's Eve™ Cleansing Cloths has a $2.99 suggested retail price for the individually-wrapped cloths or $4.99 for the soft pack cloths.